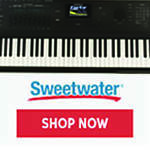 Register Log In Piano World Home Page Forums Digital Pianos - Electronic Pianos - Synths & Keyboards Kawai CA 78, Yamaha CLP 685 and Casio GP 300 what to choose? Thanks for your very thoughtful and well-informed review. 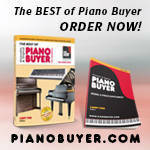 Were you able to compare with any of the Yamaha AvantGrand pianos: N1, N2, N3? Thanks Peter for the reply, and I was also fascinated to read your CLP 675/685 comparison. About the "sturdiness" and the weight technique: I wonder if the limitation isn't that a console digital's cabinet is simply not massive enough. I just checked: the CLP 685 weighs 89kg in polished finish and 675 weighs 71kg (and my Kawai CA 78, 75kg). In contrast, even the most basic Yamaha b1 upright weighs 193kg and most uprights top 200kg, not to mention the grand pianos. I can see in your videos that you are not a massive person, but even then, the weight of a grown man's arms bearing down on something that weighs less than 100kg would likely cause some movement of the cabinet. Since the optical sensors measure the movement of the action relative to the cabinet, this may be where inaccuracies creep in. A solution may be to attach something - maybe an accelerometer - that can measure the movement of the cabinet itself; maybe the digitals already have that? A very interesting review from someone who prefers a 'heavy' action. Yes - the problem of 'rocking' digitals when playing loud is noticeable. Actually not true on my latest piano - just tried it. Pettzo, I also want to add my thanks for the explicit post with your reasoning, comparison, and context. We rarely get to know the ability and education of the persons posting and sometimes it can be very relevant. Good luck with your career and I hope you'll enjoy using the instrument you chose. PS. It would've been interesting to hear your impressions on the CA98 with the new sound engine or an upcoming CS12. Also, just out of curiosity, impressions on the Avangrand N1 and Novus NV10 would be interesting, despite them being in a whole different price range. Pettzo, my thanks as well. 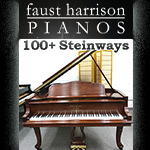 It was a pleasure and very insightful to read a review from a professional pianist. This is why so many discussion around the "best" and "most authentic" action on a DP are non-productive. There is no such thing as an ideal action nor such thing as a standard feel on a real acoustic. The best action is the one that fits the needs and skills of the player. : I wonder if the limitation isn't that a console digital's cabinet is simply not massive enough. Perhaps that could be tested merely by adding a lot of weight to it -- just stack a lot of books on top. Maybe worth an experiment? If there's one thing I have in great abundance, it's books. I had the very same image in my mind when I read his proposal. Also, be careful, we don't know whether the top of a DP is built sturdy enough to carry 20+kg of weight. 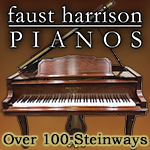 @petzzo: Thank you for your insightful review and beautiful playing - much appreciated. I would be curious to hear your opinion of the included CFX and Bosendorfer sounds. STOP (mis)using Osho's name. You offend me and many other people connected with Osho and his work. You're too delikatne for yourself. He is not offending anyobe. Osho was a controversial figure, probably drug addicted, and he did a lot of bad thing to the spritualship. Dutch Dhamma - by telling people to stop using the name of their choosing you deeply offend me and I'm sure many other people. Will you therefore stop doing it? I don't see what the offense could be. Yamaha makes a very solid product. There's nothing wrong with being in the minority. Dutch, I would let go of this Osho thing. My dog's name is Kiki. It turns out that Kiki is a swear word in Filipino, and the name has raised a few eyebrows among Filipinos I've met. Nevertheless, her name will remain Kiki. If I do it once more I demand the title "Thread-Necromancer" on this board! I remembered (and found with a little help) this thread again, when trying the CLPs again in the last few days. What was interesting was, that at first I really did not like the 645 and the 685 some weeks ago. At the 685 I even sat down, played 10 seconds and left, 645 quite similar. a. I liked it quite much, I would not say that I LOVE it, but it was the first one, I also liked the same when trying it again yesterday. b. what was really funny, was that I noticed after a short while of playing (allthough mostly on the 645). I had the feeling that for some reason my fingers were able to move faster and more precise ON the 645 and on other pianos. Its quite hard to explain, but it seemed that my fingers "learned" faster on the 645, for whatever reason.